The sister of a Glengormley man who lost his life when he drowned in the River Lagan three years ago will take to the ring on Saturday night to help raise cash for the team of volunteers that recovered his body. Fiona Murphy’s brother Joby, 20, died after falling into the Lagan after a night out in the Odyssey Arena in January 2012. His body was recovered 31 days after he fell into the water by the Community Rescue Service (CRS) using borrowed sonar equipment from sister charity Mallow Search and Rescue in County Cork. Since then, the family have held a number of fundraising events to pay for equipment for CRS, and all proceeds from Saturday’s event in the Devenish Complex will again be going to the charity. “The Community Rescue Service are a brilliant charity,” Fiona told the North Belfast News. 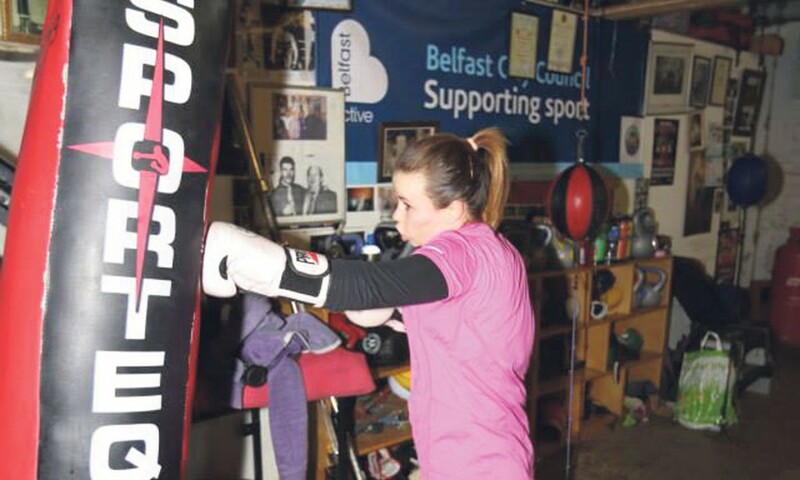 Fiona said when she heard the event was being organised to help raise cash for the CRS, she signed up immediately, even though she had never boxed before. Doors open on Saturday at 6pm and tickets, priced £15, are on sale now or the money can be paid at the door.